Do Tenants Have to Pay for Repairs? A dispute with a tenant over the condition of the property — and who pays for repairs — is an unpleasant situation for any landlord. Even in cases where the lease sets out the respective responsibilities between the landlord and tenant, that may not be the final word. Knowing your rights and responsibilities as a landlord is the best approach to avoiding this problem. There is a rule of thumb for deciding who is responsible for rental repairs: If the tenant broke it, they have to pay to fix it. Otherwise, it’s the landlord who is responsible for the cost of repairs. That’s because landlord-tenant laws create a special duty for landlords, called the warranty of habitability. That duty provides that landlords must keep the rental property functioning at a minimal standard of fitness at all times. What exactly constitutes habitable premises may vary from one jurisdiction to another. Some state statutes are generic: Habitable means someone can live there; uninhabitable means they cannot. By staying intentionally vague, these laws can be applied on a case-by-case basis. Other states have attempted to lay out more specifics regarding habitability. California, for example, includes effective waterproofing and weather protection; no debris, filth, rubbish, garbage, rodents and vermin; adequate trash receptacles in good repair; no wooden kitchen sinks; and, natural lighting through windows or skylights. New York adds poor ventilation, mold and foul smells to the list of violations, along with crime in common areas, and a broken elevator. Whatever the definition applied, this duty exists in virtually all residential leases, and the burden cannot be shifted to the tenant through the lease agreement. Tenants don’t escape responsibility entirely. They do have a duty to keep the property clean and in line with health standards. Tenants are responsible for the cost of repairs if the damage to the rental property was caused by the tenants or their guests. 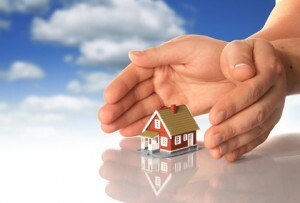 In the case of emergency at the property, tenants generally must notify the landlord first, before making any repairs. However, if the landlord is slow to respond, the tenant may be able to contract for repairs and then bill the landlord for the expenses. It’s never in a landlord’s best interest to allow the tenant to oversee repairs. The tenant may have no experience with property management or maintenance, and the tenant has no incentive to look for the best value. There have been reports of tenants who have asked the contractor to perform other work while at the property. The landlord is in the best position to choose and develop relationships with contractors, keep repair costs under control, and track warranties for repairs made previously. Contrary to what some tenants believe, habitability does not require renovations or updates, like stylish new appliances, new carpet or new paint on any particular schedule. But, all systems and finishes in the unit must be up to the standard of good repair. So, for example, if the stove is not working, it will have to be repaired or replaced, regardless of age. Generally, if a repair is needed and the tenant continues to live in the unit, they have to continue to pay rent. When deciding on a repair schedule, landlords should be aware that courts often award the tenant a rent reduction based on the loss of value or inconvenience until the repair is successfully made. That may be awarded later on in the tenancy, often as an offset in cases where tenants have fallen behind on rent. In cases where the habitability issue is severe, the tenant may be excused from the lease altogether. Policies that reduce damage to the property and speed up repairs can save landlords thousands of dollars. This should include provisions in the lease that identify a tenant’s responsibilities regarding care of the unit. Adopt an effective policy for tenants to report repairs. Discouraging complaints can lead to costly damage, and at the same time, loss of rent. Inspect the property regularly and check for defects that could affect habitability. Document the condition of the property very carefully, starting with the move-in report. Track all repairs and repair requests in the tenant file. Complete the file with the move out report. Good communication between the landlord and tenant is instrumental in keeping the property in good repair and reducing costs.